There’s nothing to me as stylishly eye-catching as the movement of fringe,” says Michael Kors. 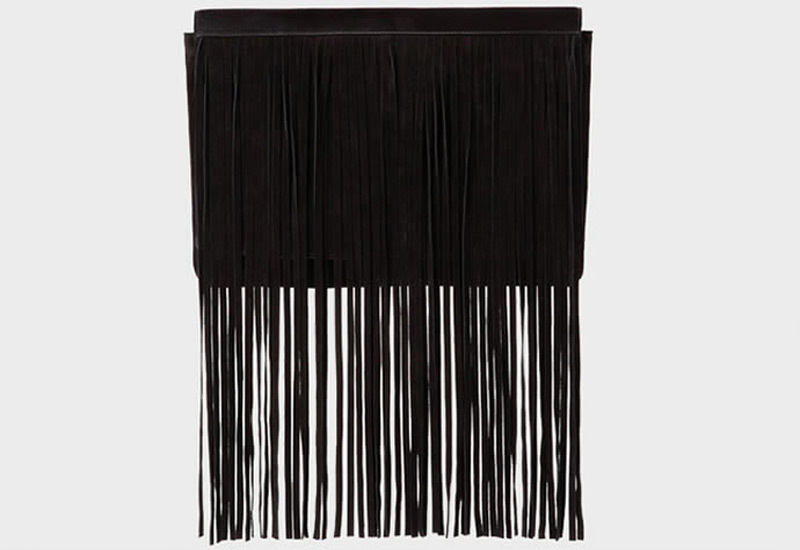 His later ultra-luxurious clutch is full of fringes, and is called Joni. Joni handbag from Fall 2014 Collection is the epitome of contrasts – an oversized clutch rendered in sumptuous python and adorned with playful bohemian fringe. It is roomy enough to carry all of the necessities while adding an opulent swing to your step. 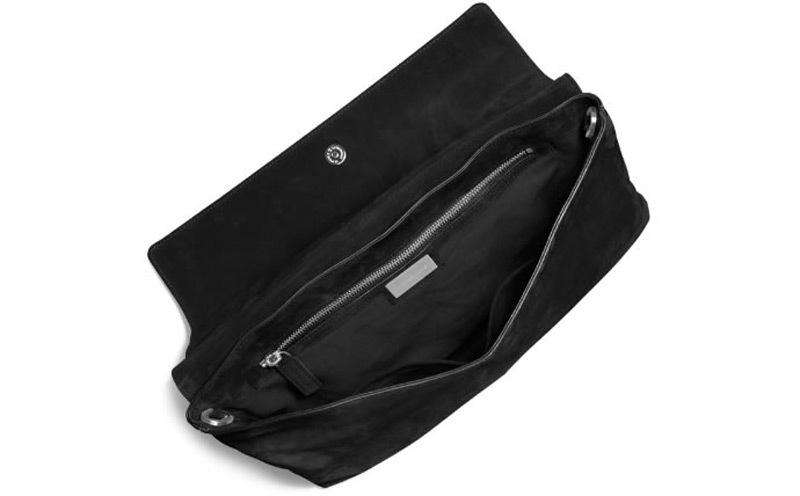 Crafted in sumptuous suede, this bag pairs beautifully with the season’s artisanal pieces. Joni is available in three shades: Java, Chocolate and Black, with reduced price of $626,50 (previously offered for $895,00).